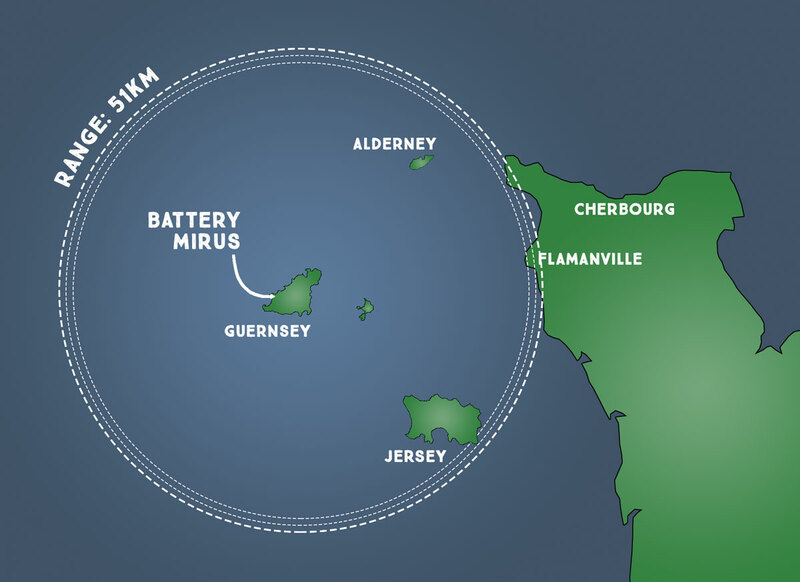 Battery Mirus (or Batterie Mirus) wasn’t a single gun. 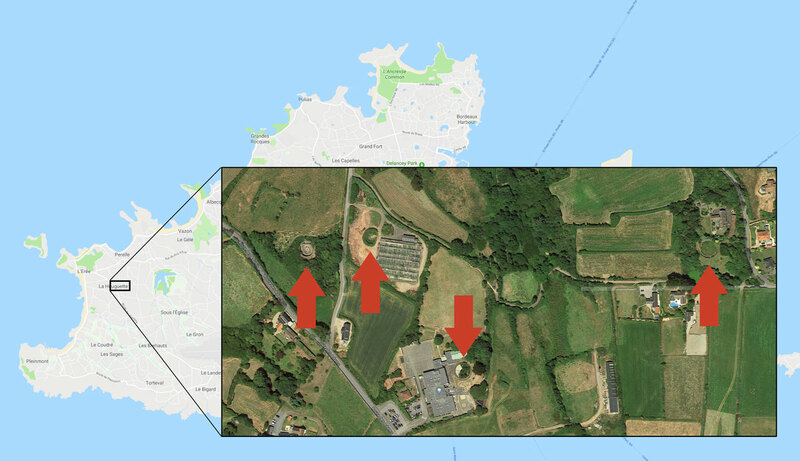 It was four emplacements overlooking Guernsey’s west coast, above the headland at L’Eree. They were supported by various lookouts, including the range finding tower at Pleinmont. Each consisted of a concrete bunker, 21m in diameter, and a 51 ton barrel with, coincidentally, a range of 51km. As well as defending Guernsey from Allied invasion, the guns could reach the Cherbourg Peninsular, and the furthest point on Jersey. Their shells travelled at more than 3,600km/h (2230mph). The barrels were technically second hand. Built in 1914, they were being shipped from Russia to Finland early in the Second World War when the ship transporting them, Nina, was intercepted by German marine forces. They were transported to Essen where the engineering firm Krupp upgraded them before sending them on to Guernsey. They arrived at St Peter Port from St Malo and were dragged from there to their final positions. The mounts on which they were fixed could rotate through 360 degrees to give them all-round coverage. So important was the battery to the German defence of the Channel Islands that the guns were disguised, with some of them made to look like regular houses or cottages looking out to sea. They were so large that each one was operated by a team of 72 men who lived on the site in bunk rooms. There were facilities for showering and cooking on site. The first test firing took place on 13 April 1942, when gun number two was primed and fired. The battery was originally named Nina, after the ship from which the guns were recovered, but its name was changed to Mirus in August 1942 in honour of Rolf Muris, a Captain at Sea of the German Navy. 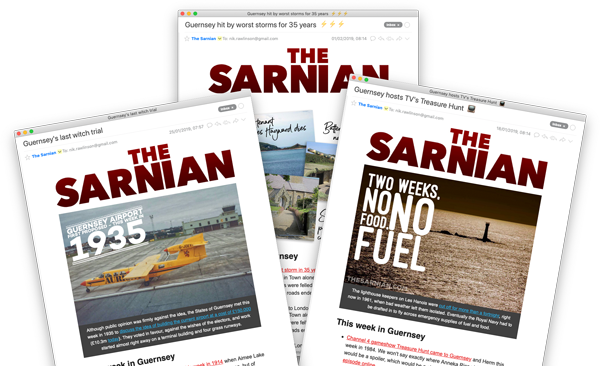 He had been killed between Guernsey and Alderney the previous year. Not much remains of the battery today. The guns themselves were broken up and sold for scrap after the war, and the concrete bases have been left to slowly decay. Efforts are now being made to preserve them so they can be opened to visitors. Satellite imagery (c)2018 Google, Map data (c)2018 Google. 700 passengers staged a sit-in on the Sealink Earl Godwin.